Two things really stood out to me when I first heard about Natalino. They offered a high rise pant, along with a roomy thigh and gentle taper. These two things are very hard to find in an off-the-rack trouser. I’m not a slim guy, and find with ready to wear trousers, I often need to size up to accommodate my thighs and seat. You can see why Natalino’s description of their cut was intriguing to me. 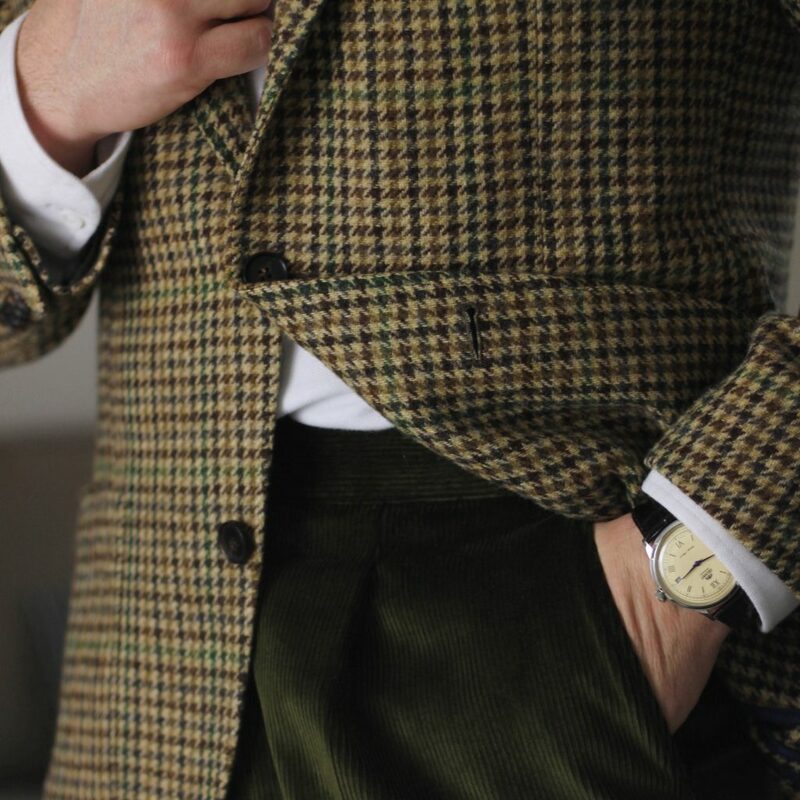 Beyond the attraction of the general cut, there are some wonderfully executed #menswear details to enjoy. 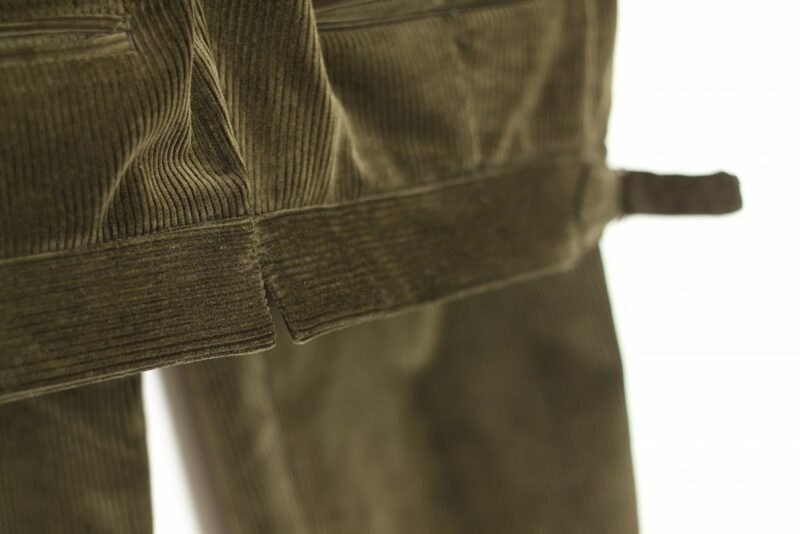 Let’s start with the fabric – an appropriately weighted (12.5oz) corduroy in a rich olive green. 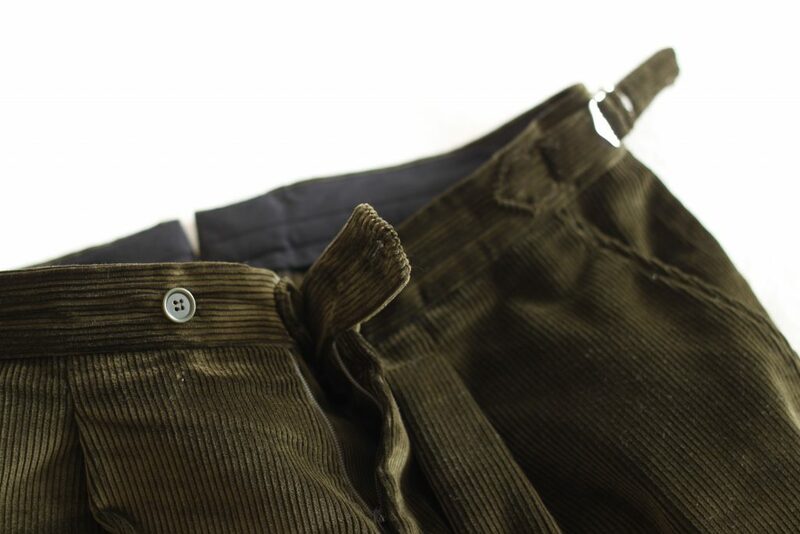 Cut in a way that running your hand up towards the waist lifts the fibres and adds some serious lustre to the trousers. Side tabs, split waist, single reverse pleats, double button waistband and 5cm turnups. 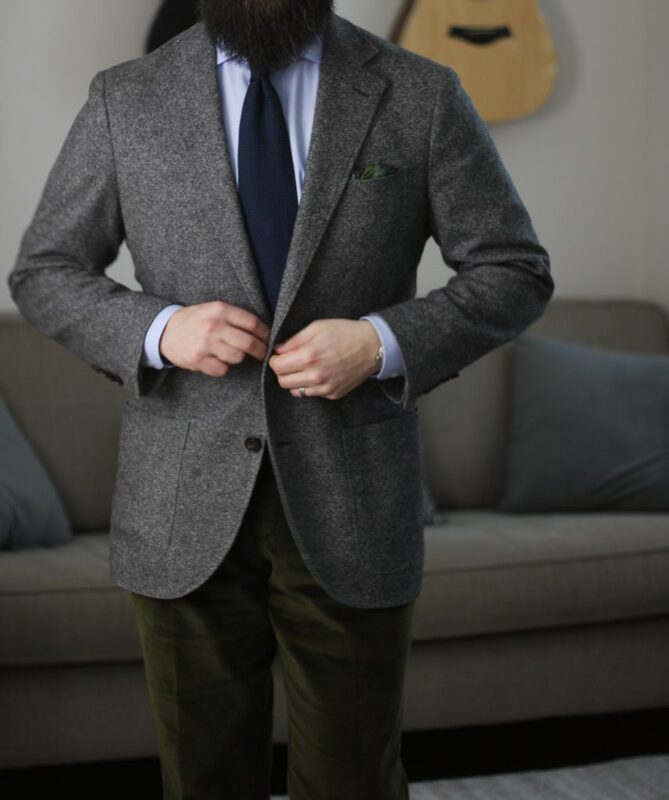 Everything a #menswear aficionado could ask for, but as a whole they’re not overdone or costume-y. I’m really pleased with the quality of construction. Not a single thread was out of place, all of the buttons are securely fastened. 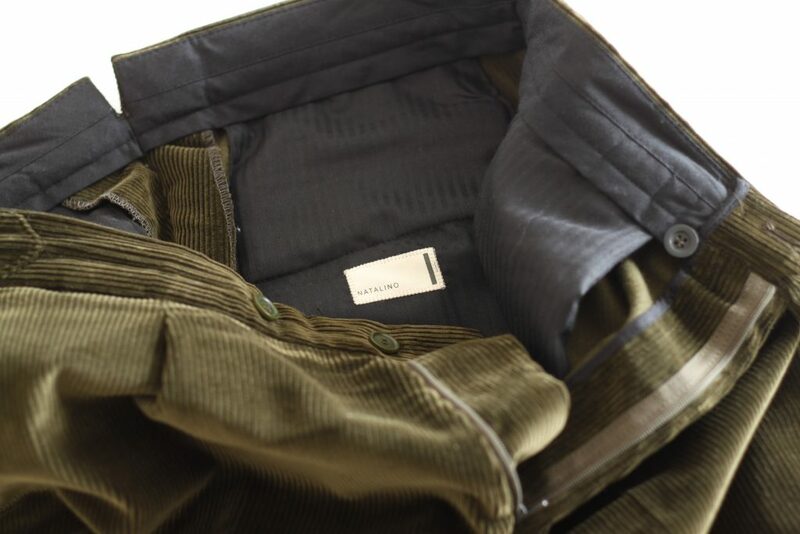 The waist and jetted pockets are cut with the wales oriented horizontally, which adds a nice touch of contrast. At ‎£87.50 (VAT excluded, £105 included) they are quite competitively priced. This might be the best example of a classic, well fitting, off-the-rack trouser I’ve found. My favourite part is the waist:thigh ratio. When wearing them, I feel like I have lots of room to move around, but they aren’t baggy or sagging from the seat. I don’t doubt that the weighty corduroy helps with this, but it still requires an ideal cut for them to drape the way they do. Natalino’s description of a gentle taper is spot on. The cut is very coherent from top to bottom. 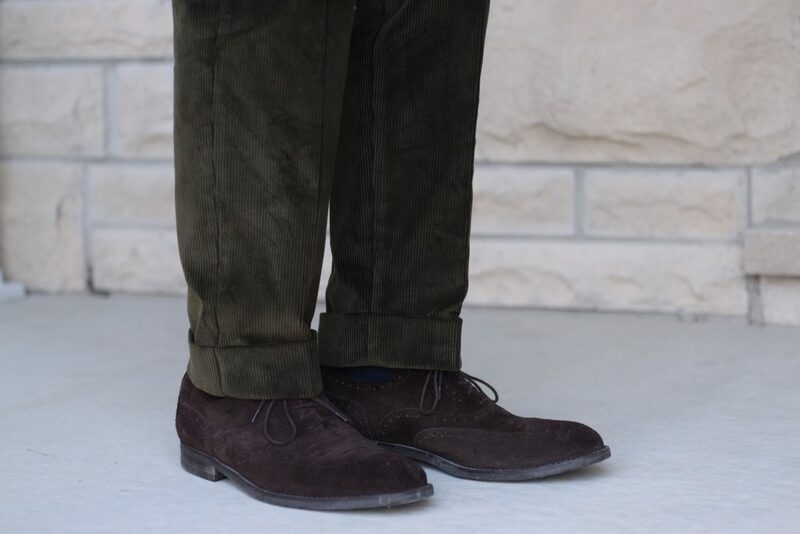 Well proportioned to the more generous thighs, the taper from the knee down ends in a 7.5″ leg opening, which is actually a bit narrower than most of my other trousers but somehow doesn’t look overly aggressive. Worn here with some salty suede shoes. The Natalino trousers look great though! One thing I would change (and let’s be clear – this is nitpicking, and totally selfish based on my body) is the available lengths. I’m 5’10” or 178cm tall, and I feel like my legs and torso are reasonably well proportioned. I ordered a short (?) size which had a 30″ inseam. I’ve never ordered a short anything before. 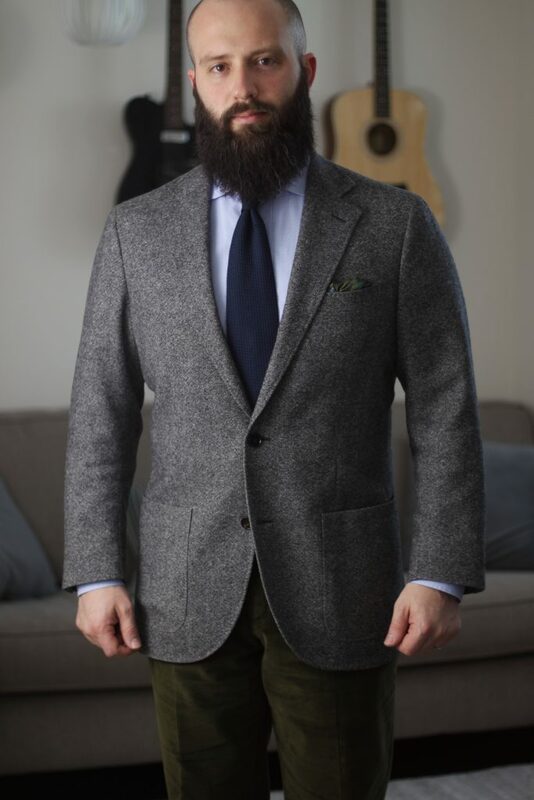 On these trousers, I’d need a 28″ inseam, which I will remedy with a trip to the tailor. 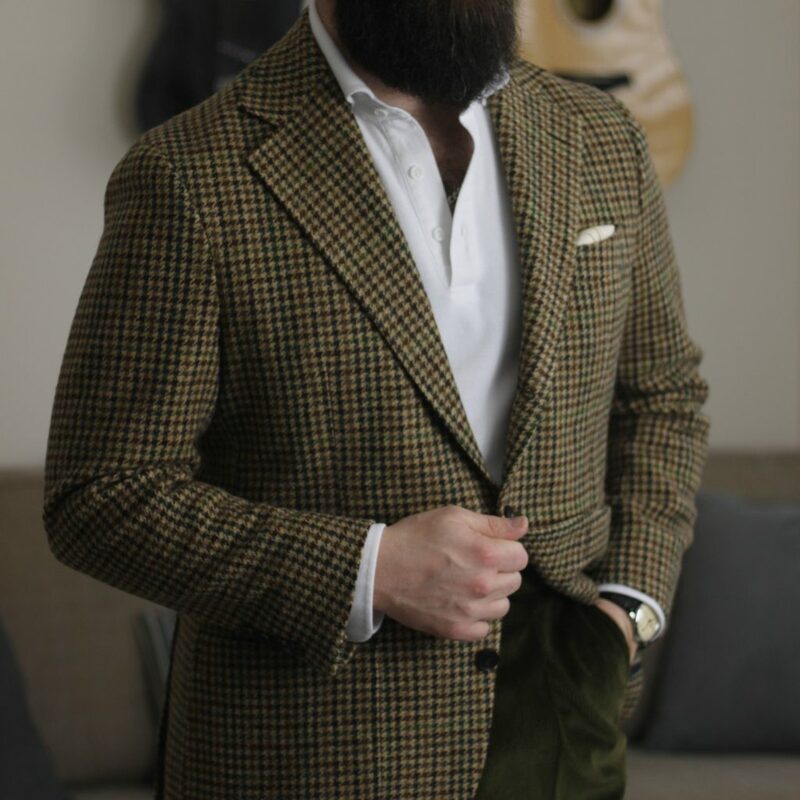 One of the first items I thought of wearing with a pair of olive cords on the way from Natalino was my gunclub check tweed jacket from Spier & Mackay. 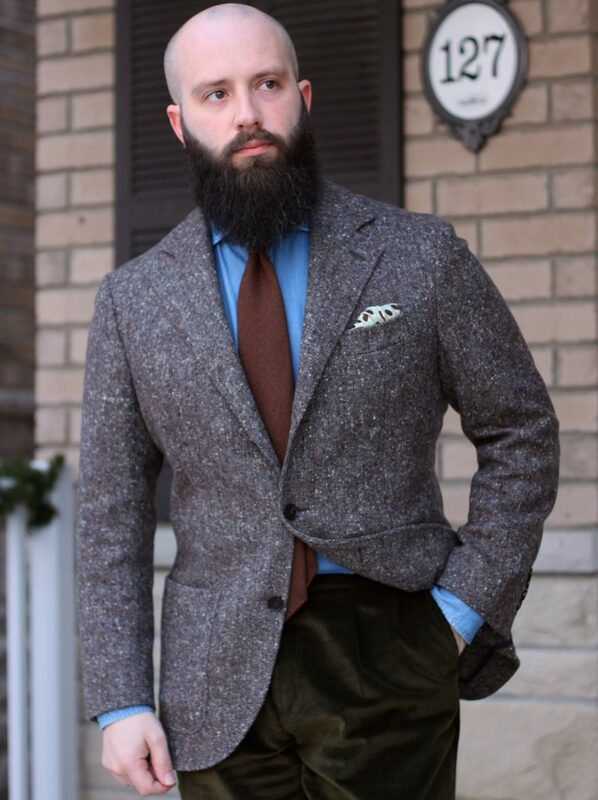 This tweed from Abraham Moon & Sons has some serious texture and an earthy palette. 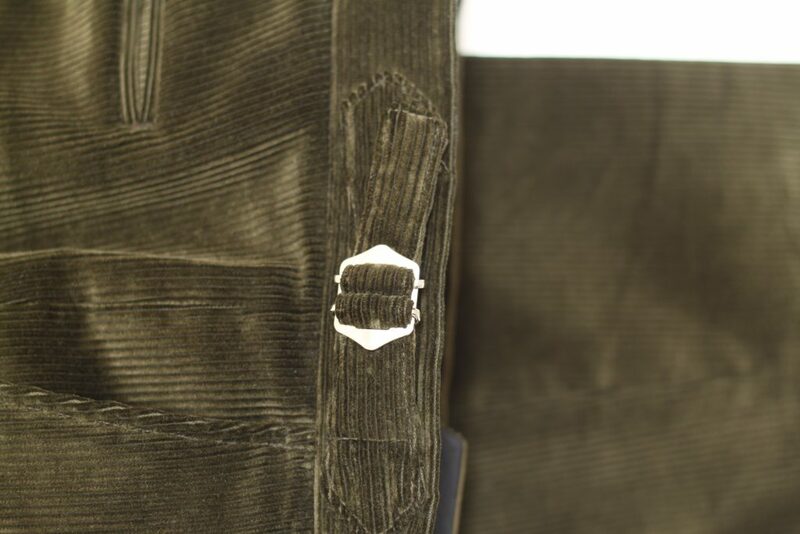 Perfect to combine with the depth of colour and texture this corduroy brings. I ended up wearing a white long sleeve polo to participate in that week’s StyleForum fit challenge. 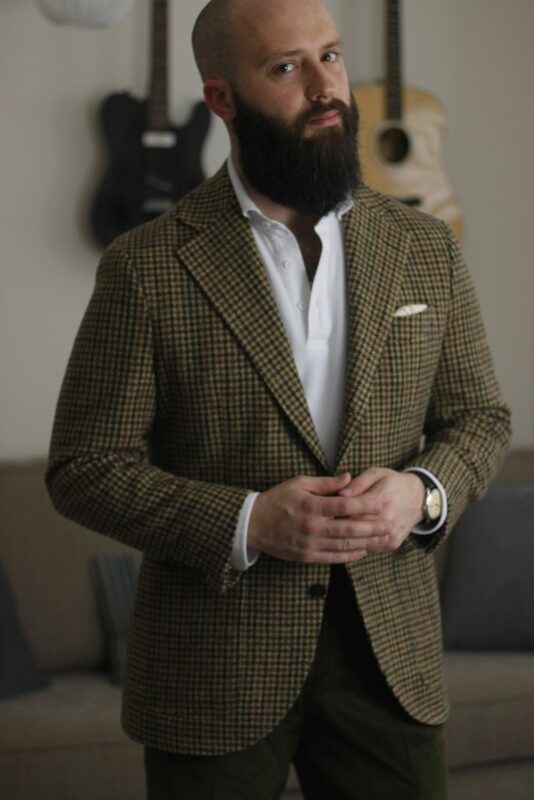 My second wear of these trousers was with my grey merino tweed sport coat, navy grenadine tie and a blue houndstooth shirt. I was quite happy with the grey and green combo, but felt that the blues in the top half didn’t quite jive, and felt a little flat. 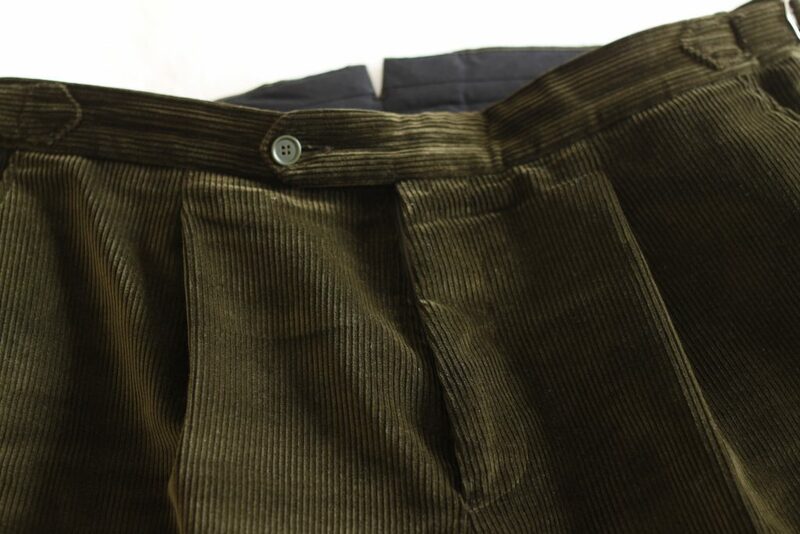 They didn’t stand up enough to the richness of the Natalino cords. My most recent pairing felt like the most balanced of the bunch. 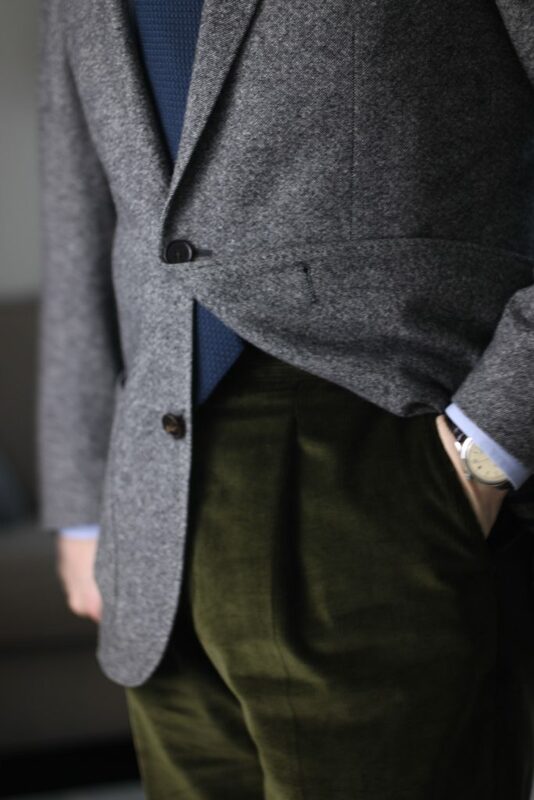 The heavily flecked Donegal tweed jacket was a great visual companion to the corduroy. 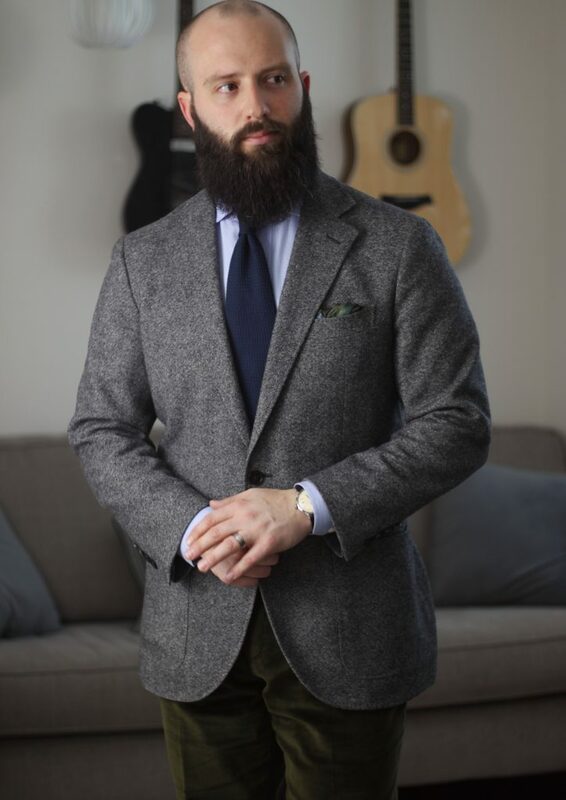 I chose my medium wash denim shirt, and a brown herringbone cashmere tie from Kent Wang. In my pocket I went with a Tom Ford pocket square that is made up of green and brown, to add some extra coherence between the top and bottom halves. With their first collection launching this past F/W season, I’d say I’m truly impressed with what has come out of Natalino. If this is what they deliver their first go-around, they are definitely worth following. I’ll be looking forward to seeing their S/S19 collection. Go check them out at https://natalino.co! Great review with good details on fit and quality 👍🏻👍🏻👍🏻. Thanks very much! Glad you found it informative.